Apatite is most often seen in blue, but also can be found in brown, pink, yellow, green, violet. Moon rocks collected by astronauts during the Apollo program contain traces of apatite. Avail from us a wide range of Green Apatite Bead, as we are offering these products in small as well as in huge bulk as per the needs of our clients. These products are available in eye-pleasing designs and unique patterns. All these products are made up of best grade material sourced from reliable dealers of the industry. Being one of the renowned manufacturer, exporter, wholesaler, stockist and supplier we offer our clients a diversified range of Apatite. Processed from advance technologies, these Apatite stones are amazing in quality and lustrous in shine. We are involved in providing our esteemed customers a wide array of Green Apatite, which are available in various sizes and specifications. These Green Apatite are vastly appreciated by our patrons. Our customers can avail these Apatite at market competitive prices with us. 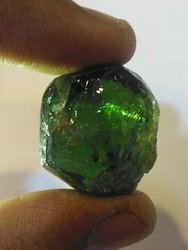 Green Apatite is of very best quality. The Colour is also good. Gem quality rough. Agate stone is available in a wide range of calibrated sizes and shapes. The natural color of apatite gem stone is Paraiba like blue-green and thus is ideally suited for jewelry.